Cristina Anastasas is a licensed aesthetician with over ten years of experience. A Brazilian native, Cristina has been in the beauty and skin care industry for over twenty years, originally starting out as a waxing technician at fourteen years old. Cristina’s specialties are eyelash extensions and full body waxing. She believes in providing the highest level of treatment and customer service possible to every individual. Cristina’s lifelong dream of owning her own business was realized when she opened Luxe Day Spa. 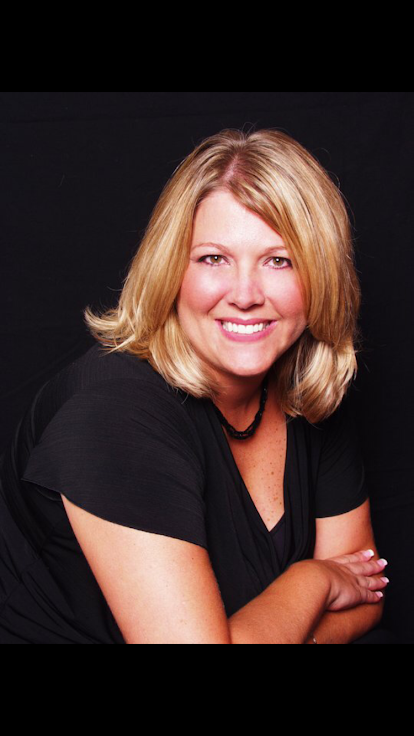 Genie Skemp is a licensed Esthetician with over 10 years experience in the beauty industry. Genie is a 7th generation Tampa native. She moved to Hollywood, CA in 2007 and attended the Studio Makeup Academy where she became a Master Makeup Artist. During her time in CA she also worked for the founding airbrush makeup company, Dinair, where she traveled the country teaching workshops. Doing makeup for The Emmys and Oscars are just a few of her accomplishments while in CA. Genie decided to move back to Tampa in 2013 to be closer to family. 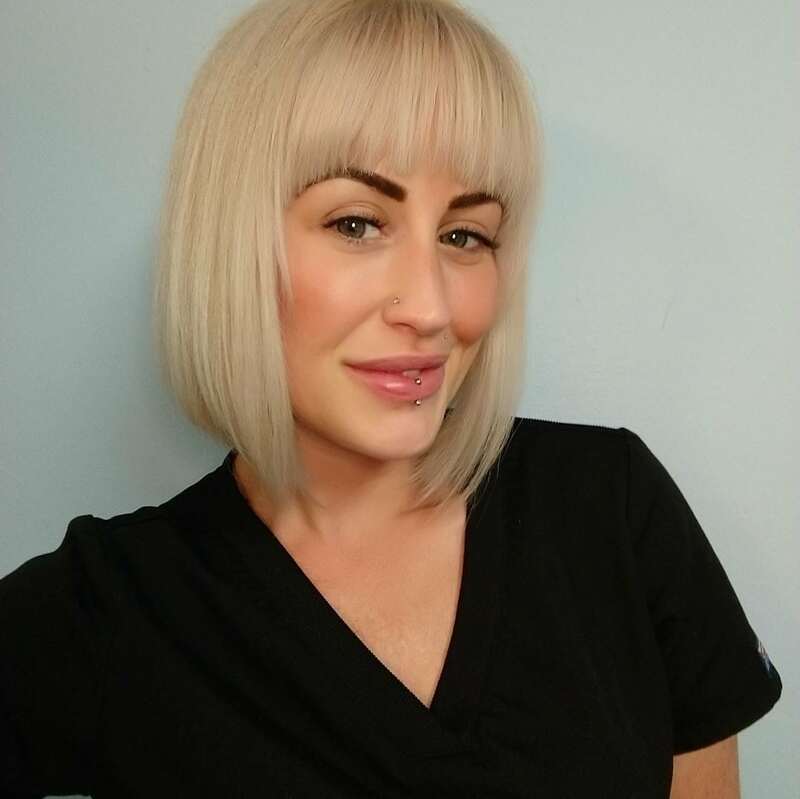 She wanted to continue her education in the beauty industry, so she attended the American Institute of Beauty for skin care where she became a licensed esthetician. Genie absolutely fell in love with aesthetics and decided to pursue eyelash extensions upon graduating from AIB. Genie prides herself in being able to give her clients a full spa experience from skincare to lashcare. Heather is a licensed Paramedical Aesthetician. She attended Southeastern College in St. Petersburg, Florida. She chose this school specifically for the extensive courses and training offered. Previously, Heather worked in the medical field for 20+ years. Though rewarding, she wanted a different pace of work and environment. Heather likes to create a peaceful and relaxing environment for her clients while helping them to achieve their goals. It is not only very rewarding for her to see changes in the skin, but also educating clients on proper skin care. She is knowledgeable and educated on all skin types. She specializes in anti-aging skin care, removing skin irregularities, chemical peels, microdermabrasion, facials, acne treatments, and microneedling. Hello there! My name is Emily Hedrick and I’ve been microblading all over the Tampa Bay Area for over a year. I work out of several salons providing microblading to clients living from Clearwater Beach to South Tampa. Giving women gorgeous brows is my specialty and it has been the focus of my work over the past year. I’ve crafted hundreds of unique brows and always tailor them to each client. No stencils here! I pride myself on being a perfectionist and love working with the intricate details of creating beautiful brows. Having open communication with each client is very important to me and they are free to contact me with any questions and concerns. You are too! If you’d like more information regarding the microblading process please feel free to call the salon and leave your number for me to contact you. I can’t wait to help you get the brows you’ve always wanted! 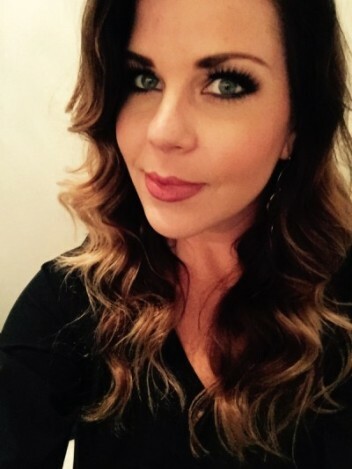 Ashlee is licensed paramedical aesthetician with over 10 years in the industry. She started doing lash extensions over 9 years ago and her passion for it has only grown. She is also a licensed tattoo artist and enjoys microblading and creating beautiful eyebrows for her clients to enjoy. From facials and waxing to lashes and brows she loves what she does and is always expanding her knowledge of services to keep up with ever changing times. I am a Tampa native. I have been a licensed aesthetician in the beauty and skincare industry for seven years. I have a true passion for what I do and anyone that books with me can see that. I pride myself on being a perfectionist. Always staying consistent with being the best at what I do I strive to give my clients the best experience and personal attention with all of my facial wax and sugaring procedures that I perform. I truly enjoy making people feel beautiful there is no greater satisfaction. Rebekah Potter is a Licensed Massage Therapist. 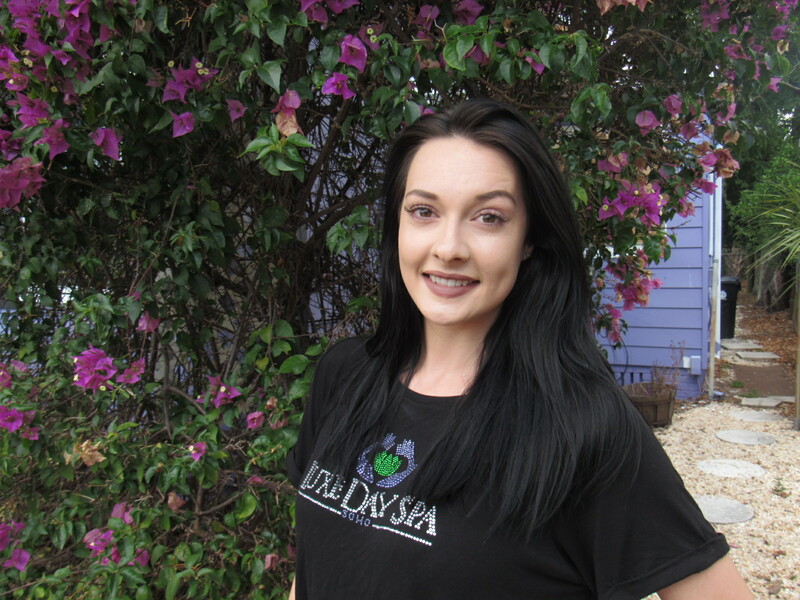 A Tampa native, Rebekah graduated from State of Florida Massage Board Apprenticeship program. Completing more than 1400 hours of training. Rebekah is certified in various modalities of therapeutic massage and bodywork including Cupping Therapy and Pain Management. Internationally Certified in Acupressure Therapy. Rebekah’s specialties include Deep Tissue massage, myofascial release, Himalayan Salt Cold Stone Therapy, joint mobilizations, trigger point therapy as well as proprioceptive neuromuscular facilitation. Rebekah and her husband have been married for 22 years they have 2 sons. Her oldest is a professional soccer player that has taken him all over the world. Her youngest is currently serving in the United States Marine Corps.